Garage Door Repair Company Serving Entire Belleair & Belleair Beach Area. If you are in Belleair, FL area, including Belleair Beach and Belleair Bluffs, BP Garage Doors is your garage door specialist that offers top-notch garage door repair and installment services you can trust. Our team is made up of professionals that are highly trained and friendly. They are ready for any garage door repair or installment need. 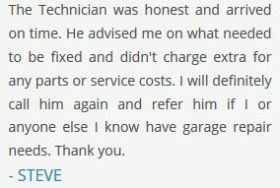 We know how to take your needs through to completion and beyond, making sure that you return home to a like-new if not brand new garage door. Let us take away your troubles. 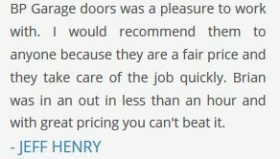 We have years of experience and we are comfortable working with many styles of garages doors. It does not matter what problem you are facing, we can make it right again. Our trained team of technicians performs repairs and part replacements as well as full garage door installation services. It doesn’t matter if you are brand new to your home or seasoned, we offer excellent services will work for you. Return to peace of mind and get rid of the unnecessary hassle of repairing your garage door by calling BP Garage Doors in Belleair, FL. We fix it quick, accurately, and we are ready 24/7. If you need a door installed or repaired, need new cables or springs, or you need maintenance with your opener, call us today. If you need your garage door repaired or installed and you are in Belleair, FL, and the surrounding Bellair Beach and Belleair Bluffs area, then you’ve landed in the right place. 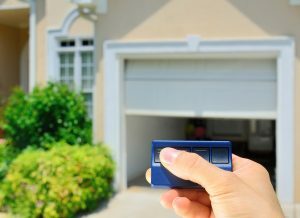 When it comes to a broken garage door, it could be because of your garage door opener, which doesn’t always mean you need a full replacement! Good news: If your garage door stops opening or closing, it could be because the opener is no longer functioning. That’s a better problem than broken springs or tracks because it can be repaired for a much lower cost. And, we are able to make the repairs needed on the spot. Give us a call today to diagnose the real issue with your garage door! However, if your garage door is undeniably damaged and needs repairs, or you simply need your first one installed, we can help out. At every garage door repair and/or replacement, BP Garage Doors provides a free safety inspection to make sure that all of the hardware and moving parts are in good condition and functioning correctly.